Karwa Chauth is a very important festival for an Indian wedded woman. On this day, women keep fast and pray for the long life of their husbands. In return for this, husbands give beautiful gifts to their wives to make them feel special, loved and cared. 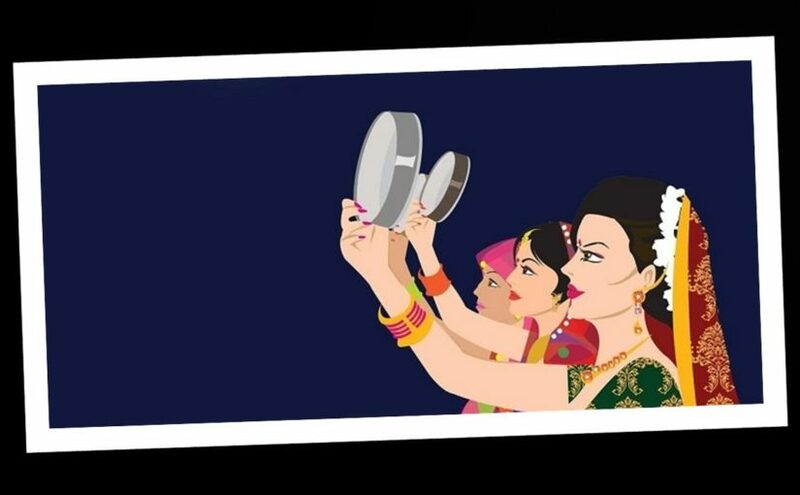 Karwa Chauth portrays the real picture of married women, the deep respect they have for their husband. The popular festival is celebrated by a married couple. This festival is synonymous with red vermillion, fragrance-rich Mehendi or henna. As women keep fast right from sunrise till to the moonrise at night without sipping even a drop of water, husband to appreciate the love and affection gives beautiful gifts. If you want to wish your wife ‘On this special day’, then gift her something special this time. With the our online gifting portal, you will find a range of gift items that may be gifted. With Delhi Online Gifts, you will find a range of gift items that may be gifted on the occasion of Karwa Chauth. To celebrate this joyous moment in the perfect manner, gift her red roses, sweets box, personalized gifts, chocolates, dry fruits, jewelry and cosmetics. Gift items can be chosen as per her likes and preferences. There is a range of gifts to be discovered with us. By gifting her something special, you can make this day even more special. If it is just the first Karwa Chauth of your wife, then you should buy jewelry pieces for her. Jewelry need not be very expensive as a lot of Jewellery listed here with attractive discounts. To add special touches to the day, buy gifts and surprise your wife. There is a wide range of items available with our Delhi based gifting portal, that are both essential and meaningful. Buy everything from nutritious dry fruits, sweets hampers to flowers, chocolates and apparels. Gift delicious cake, irresistible sweets, custom photo frames, customized mugs, designer sarees, statement necklaces and delicious Sargis online with few clicks of the mouse. Among the range of gift items, you may choose the best ones. Buy perfumes, headphones, stylish mobile covers in spectacular. If you have forgotten to place orders for the gifts, you may do it now. Same day gift delivery service may be taken without any need to spend extra money. You may also send gifts overseas if your girlfriend or wife stays away from you. It is important to choose only trustworthy, reliable and experienced gift shop for gifts delivery. Midnight gift delivery, next day gift delivery may also be taken. A beautiful flower bouquet delivered right at the doorsteps of your wife will act as wonderful surprise during the midnight hours. Online shopping for a gift is hassle free now. There are plenty of options in Karwa Chauth gifts to Delhi. we can also offer free shipping with no minimum order value facility. Gifts are a great way to show how much you love your spouse. Consider her likes and preferences when choosing the gift. Karwa Chauth is an Indian festival which is celebrated across the globe among Indians by religion. It is a ritual which women follow to pray for their husband’s long and healthy life. In this ritual, women fast for their husbands the whole day where they do not eat or drink anything from sunrise until the moon rises. Once this moon is seen, they perform some rituals based on their religion and then break the fast to consume food. It has been an age-old tradition and is followed religiously by almost all women irrespective of their religion. We all enjoy such festivals and do almost everything that has been passed on to us from our ancestors. The name Karwa Chauth comes from the Goddess Karwa who started this ritual to pray for her husband’s long life. It has been known that she was successful in getting this power and since then all married women fast for their husbands. This does not mean that women who are not married cannot do the fast. They can do it for their fiancés and for the future husbands to be. This festival comes on the fourth day of the full moon and therefore, the second word in the name “Chauth” comes in place. The importance of this festival is more inclined to superstitions (not to hurt any sentiments) as per the women of new age. But this is not true for all as it holds a lot of importance among women who religiously follow it. They feel that they can connect well with their husbands and ensure they are safe always. The festival is not only for husbands and wives but for the entire family. This festival is celebrated with a lot of zeal and zest where the mother in law gives Sargi to her daughter in law. This Sargi has all the goodies placed well in a thali which is supposed to be eaten in the morning before sunrise. It is for the survival to do the fast for the entire day without eating anything. This Sargi has all the special food items prepared by the mother for her daughter in law as she is doing such a sacrifice for her son. During the day, it is not less than a marriage celebration as all the women from neighboring homes come to a commonplace and rejoice to kill time. They do lots of activities like singing songs to please Goddess Karwa and pray to make the moon rise soon. It is easy for women to relate to Goddess so that their fast can be a success and make their husband’s lifelong living. It may sound abrupt to people from different walks of life but there are many foreigners who are influenced by the festivals of India and follow them just like Indians do. As the sun goes down, everyone waits for the moon to rise, so that they can perform the rituals for their husbands and offer their prayers to Goddess Karwa. You should look for an opportunity to perform this ritual as Karwa Chauth is just around the corner. 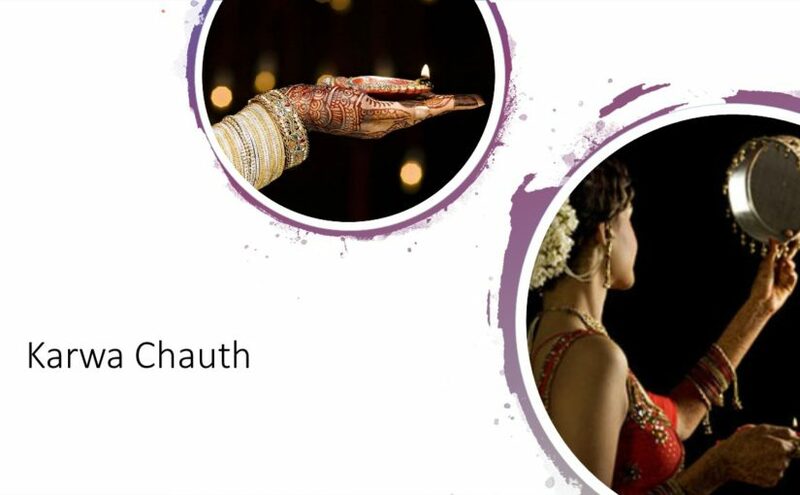 Karwa Chauth is the most revered festival celebrated by married women in India on the fourth day of Karthik month. It is mostly celebrated in northern and western part of Indian states like Punjab, Haryana, Gujarat and Uttar Pradesh. The festival is mainly for Hindu married women who pray for health, longevity and happiness of their husbands by praying to Lord Shiva and Maa Parvathi. It is also a way for a woman to show her care, concern and love to her husband. The festival or puja starts with the sunrise when a woman vows to not drink or eat anything until the moon shows up at night. Women come together to pray and complete all rituals wholeheartedly. It is one of the toughest fast Indian women do which can only be broken at night after seeing the moon. The fast is broken with the assistance of husbands when they make their wives drink water from the earthen pot. Here one thing is interesting to note that ‘Karwa’ actually means earthen pot which has great significance in this puja. All women complete this fast with enthusiasm and excitement. They all wait for their husband to break their fast at night. Women generally wear red or bright sarees, lehengas and Salwar-Kameez on this day. Newly married women wear their wedding dress on this day. They are given suhaag thaali by their mother and mother-in-laws signifying acceptance, love and trust from elders. 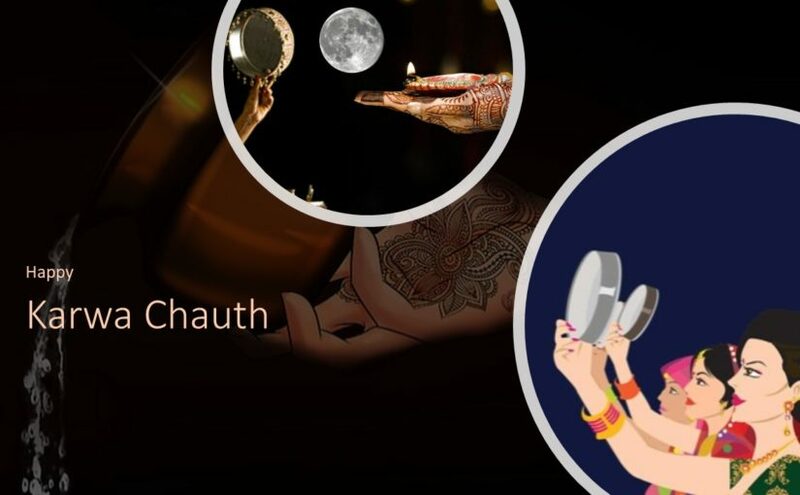 Karwa Chauth is not merely the occasion to celebrate the husband-wife relationship, but has the scientific or logic reason as well. This festival falls on the fourth day of the Karthik month of every year, which comes after a long harvest season. People in earlier days used to get free from tiring harvest process and had enough to eat, distribute and celebrate. Women by celebrating this day used to welcome and appreciate the hard work done by their husbands. It also brings in the importance of heavenly matters in our life. Like the Sun, the Moon is also worshipped and remembered for maintaining the balance of Earth and life of people. The moon is often linked with love and affection and many great poets have written innumerable lines about love and moon underlining the linkage between the two. Therefore, it is clear that Karwa Chauth is more than a festival. In India, even though it is the festival of married women but the fast is also kept and puja is done by unmarried girls those who wish for a handsome, pleasant and perfect life partner. This coming Karwa Chauth celebrates the day with your loved ones and especially with your husband by completing all rituals of the Karwa Chauth Puja and praying Lord Shiva and Maa Parvathi for a happy, blessed and wonderful married life ahead. Exchange gifts and share your love and bond with your life partner. These days when men are also not behind to keep fast on this specific day, this Karwa Chauth should be the most memorable one for all of you. You can enjoy karwa chauth gifts in Delhi. All kinds of gifts like Sargi, Dry fruits or Flowers can be delivered online to any region of Delhi.